Pete Kmet is the 42nd Mayor of Tumwater and a familiar face for decades in city government. Kmet recently retired from his full-time position at the Department of Ecology, but he isn’t slowing down in his role as leader of Tumwater. Kmet began his civic work as a City Council member where he served for 18 years, 14 of them as Mayor Pro Tem. In 2009 he was elected to the office of Mayor. This longevity makes him the most senior locally-elected official in Thurston County. No other local legislator has been in office as long as Kmet. It was not something he planned, but he is the kind of man who likes to see things through. “You get into office and there are things you want to get accomplished, and they take a long time. I thought I would retire before I ran for mayor. But then Ralph Osgood retired after 16 years, and I felt like there needed to be continuity in leadership. We’ve accomplished a lot; we’re at the point with things like the brewery where we’re on the cusp of something happening, and I’d like to see it through. I’ve been fortunate that I’ve gotten good support and been able to keep going,” Kmet explains. Tumwater is prospering under Kmet’s guidance. 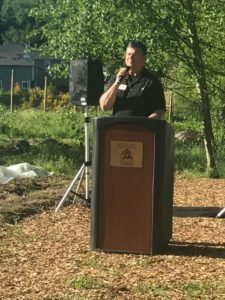 The city is building a great reputation, along with many new infrastructure projects, and Kmet attributes that to a new, positive energy that has come into Tumwater with a very capable City Administrator, John Doan, and a new school superintendent, John Bash. 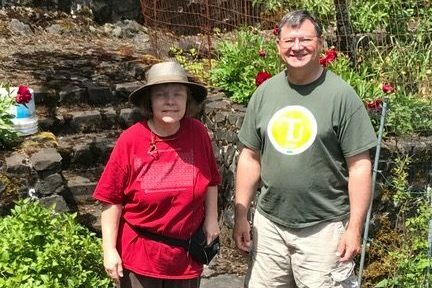 Kmet has also been a big proponent of bringing the GRuB School (Garden Raised Urban Bounty) to Tumwater, which is operating at Isabella Busch Park. Kmet, ever a pragmatist, made sure the kids enrolled in the GRuB program also did a weekly lesson in civics. Because the workforce is aging, Kmet wants young people to see the jobs that make the city work: they visit the fire department, the parks department, and more to understand what makes the city operate. Kmet hopes they see there are good jobs in Tumwater, ones that can be counted on. As an elected official, Kmet shares how he see things and talks to people that he normally wouldn’t have access to. He tries to connect people with resources he becomes aware of and, that is just how the farm started. 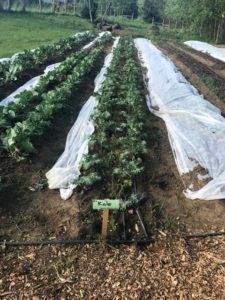 The city needed a plan for the property and Kmet heard that GRuB was interested in another farm location. Tumwater committed to fixing up the barn and committing the land. GRuB hired a staff member and the school came up with a curriculum to help kids not only grow healthy food but to get high school credit while doing it. Teenagers often have a tough time getting jobs. For a modest cost, the city could provide kids jobs, have them grow food and help them get credit as well as life and employment skills. It was a win for all parties involved. In addition to their work with GRuB, Tumwater has contracted with the Boys and Girls Clubs of South Puget Sound and are currently developing youth programming. Kmet believes it is important to support local non-profits and encourage them to work together for everyone’s benefit. Some of Tumwater’s recent prosperity can be attributed to a growing economy and population, but a lack of space in the City of Olympia. One example is when Toyota of Olympia came to the Tumwater leadership a few years ago and shared how they were out of room in their current location. They’d noticed a highly visible piece of property, perfect for their needs, within the Tumwater borders. 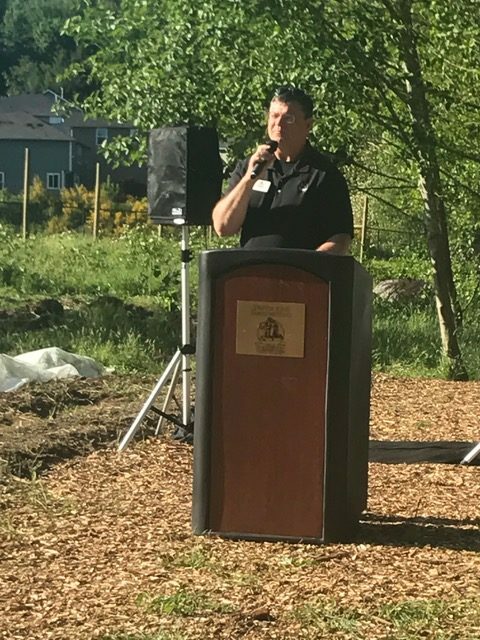 The city worked with them to ensure appropriate zoning and infrastructure to make it possible as locating the business in Tumwater made a lot of sense to city leaders. By working together with the business, Kmet believes the investment will pave the way for the future as other adjacent properties become available for development. One of Mayor Kmet’s other initiatives focuses on government transparency. He believes it is important for the citizens of Tumwater to know where tax dollars go. Under his leadership, the city has been using social media and electronic list serves to keep people informed. 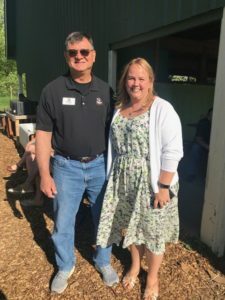 This connection to its citizens has served Tumwater well, encouraging engagement and conversation. For Kmet, making Tumwater better is a task he can do from inside the Mayor’s office or out on the streets. One example was Kmet’s frustration with the city’s litter problem. So, to help with the solution, he began to go out and pick up litter himself. Others followed his lead and now Tumwater has fifteen groups picking up litter on the side of the road on a regular basis. Kmet believes a clean community helps people feel positive about their city and working together towards that goal bonds citizens together. Kmet also has good relationships with the Mayor of Lacey, Andy Ryder and the Mayor of Olympia, Cheryl Selby. Selby, Ryder and Kmet meet regularly to talk about common issues between the cities. Recently, Uber approached Olympia to provide service in the area. The three mayors worked together to create an ordinance to allow them to operate in all three cities instead of limiting operations to just one. 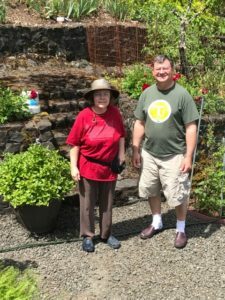 And Tumwater’s residents hope he continues to promote their community and advocate on their behalf for many years to come.